I have a complete 1989 vintage Hi-Tech Z80 compiler (V4.11). Complete with origional 3 ring binder, hard copy manual and 5.5inch floppy disks. As far as I can tell this only runs on 32 bit PC's (in a dos box) and won't run even in compatibility mode on a 64 bit system. As Microchip bought Hi-Tech and about a decade ago stopped all the non-Pic Hi-Tech compilers: can I make the Hi-Tech Z80 compiler available as on another Z80 forum for other non-commercial/hobby developers? It is unlikely. But you can Ask. Try a Support Ticket to start. It will still be under Copyright, so it is not free or open. I agree, although Microchip removed the non-Pic Hi-Tech compilers immediately and support for them as soon as possible in 2009 the rights to the compiler are still owned my Microchip. No one is going to do anything commercial with it and most of the Z80 enthusiasts are all retired hobby people. No they will not have a clue, but you can try to get them to push it to legal. It may be your only choice unless you know an F.A.E. If what you are looking to distribute is a free or sample version it will be easier. But if you are giving a key code it may be harder. It really is from a different Millennium :-) I think it was obsolete and discontinued by Hi-tech long before Microchip bought them. The only other commercial Z80 compiler I know is the IAR EW Z80 and that runs on Win7 but was also discontinued. About 5 years ago I think. I have that too but it is licensed (to me). It brings back some memories, from when I started with Pascal on top of CP/M on a TRS-80 Model II. @oldtimer: Only one single side 8" floppy drive. and if you say "5 inch disk" some people think you mean a CD! I can remember when CD drives (not DVD) were "new" and expensive. Now it seems with all SW being downloaded even the optical drives have gone from most computers. I have CD/DVD drives and an external 3.25 floppy drive. the problem is most new PC Bios will not recognise a floppy drive. I keep a couple of old PC's and an Old Laptop so I can use some of the older SW and tools. 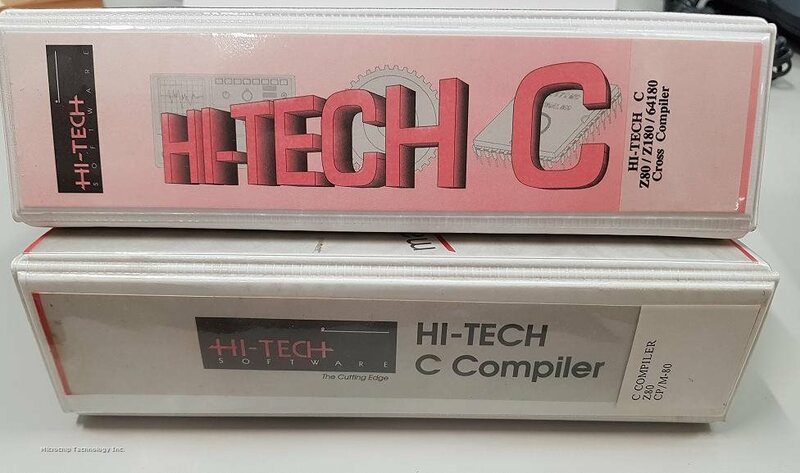 The first "Hitech C" compiler I used was on a Sinclair ZX Spectrum 48K. After that I only got back to use Hitech tools with the PICs.